Is GoPro Inc (GPRO) a Good Stock to Buy? The Insider Monkey team has completed processing the quarterly 13F filings for the September quarter submitted by the hedge funds and other money managers included in our extensive database. Most hedge funds have been producing disappointing net returns in recent years, however that was partly due to the poor performance of small-cap stocks in general. Well, small-cap stocks finally turned the corner and have been beating the large-cap stocks by more than 10 percentage points over the last 5 months.This means the relevancy of hedge funds’ public filings became inarguable, as they may reveal numerous high-potential stocks. The following article will discuss the smart money sentiment towards GoPro Inc (NASDAQ:GPRO) . Is GoPro Inc (NASDAQ:GPRO) a buy here? Hedge funds seem to be taking a bullish view, since the number of bullish hedge fund investments increased by four in the third quarter. In this way, there were 20 funds in our database with GPRO positions at the end of September. At the end of this article we will also compare GPRO to other stocks, including Ollie’s Bargain Outlet Holdings Inc (NASDAQ:OLLI), The Empire District Electric Company (NYSE:EDE), and WMS Industries Inc. (NYSE:WMS) to get a better sense of its popularity. Now, we’re going to take a look at the recent action encompassing GoPro Inc (NASDAQ:GPRO). 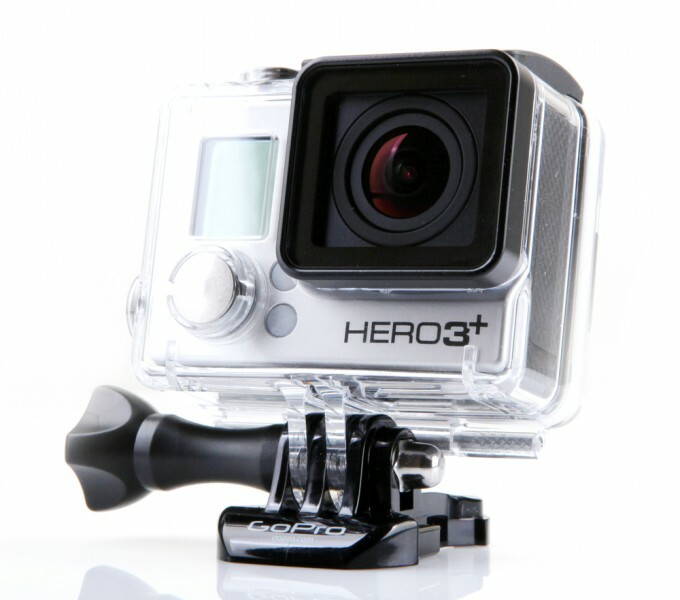 How have hedgies been trading GoPro Inc (NASDAQ:GPRO)? During the third quarter, the number of funds tracked by Insider Monkey bullish on GoPro increased by 25% to 20. 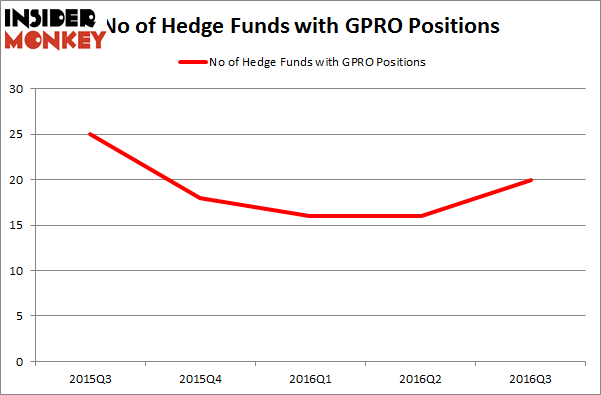 Below, you can check out the change in hedge fund sentiment towards GPRO over the last five quarters. So, let’s find out which hedge funds were among the top holders of the stock and which hedge funds were making big moves. According to Insider Monkey’s hedge fund database, Blue Ridge Capital, led by John Griffin, holds the most valuable position in GoPro Inc (NASDAQ:GPRO). Blue Ridge Capital has a $32.1 million position in the stock, comprising 0.4% of its 13F portfolio. On Blue Ridge Capital’s heels is D. E. Shaw’s D E Shaw, with a $21.8 million position; less than 0.1% of its 13F portfolio is allocated to the company. Other members of the smart money with similar optimism contain Edward Gilhuly and Scott Stuart’s Sageview Capital, and Gabriel Plotkin’s Melvin Capital Management. We should note that none of these hedge funds are among our list of the 100 best performing hedge funds which is based on the performance of their 13F long positions in non-microcap stocks.